At L.I.K. Seamless Gutters we install both 5″ and 6″ as well as half round gutters all available in multiple colors including copper in the thickest material to ensure a quality installation. Gone are the days of the leaky seam over the front door creating a treacherous suicide mission when walking in and out of the house during winter months. Our gutters are manufactured by our factories on wheels and are custom cut to the exact length of your house. 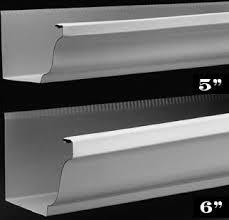 If your house is 80′ long the gutter is rolled out to 80′ one piece. Also gone are the days of the spikes that attach gutter to house that work themselves loose with the expansion and contraction of the gutter. 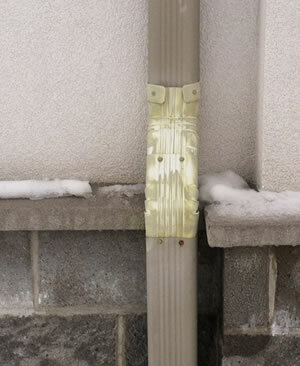 Heavy duty hidden brackets or hangers (pictured left ) along with a 3″ screw are installed every 2 feet and screwed to the fascia board creating a extra strong gutter system that when properly maintained should last forever. 6″ Gutters Can Handle Double The Water Capacity Of 5″ Gutters. If you have an area where multiple roofs drain into same gutter there is always a chance of the water over shooting the 5″ gutter do to heavy volume creating a mess of your mulch, paver patio, or even worst of all creating a wet and moldy basement. 6″ gutters are capable of handling DOUBLE the water capacity per foot. In these days of increased weather intensity, the higher capacity 6″ gutters are gaining popularity as the standard solution to controlling water flow. Gutters serve an additional purpose. They are shaped exactly like crown molding to give your home that clean, finished look. Failed paint on elbows installed by competitor after only 4 years. Ask us about our selection of colors that will coordinate perfectly with your siding, stucco or trim to enhance your home or business’s curb appeal. Our colors are a baked on enamel performed at the manufacturer similar to how your car is painted to ensure the paint on your gutters will last as long as the gutters themselves. Many contractors who don’t specialize in gutters or don’t stock certain colors will just use paint that is meant for touch-ups to paint whatever they need in color resulting in the pic on the right. 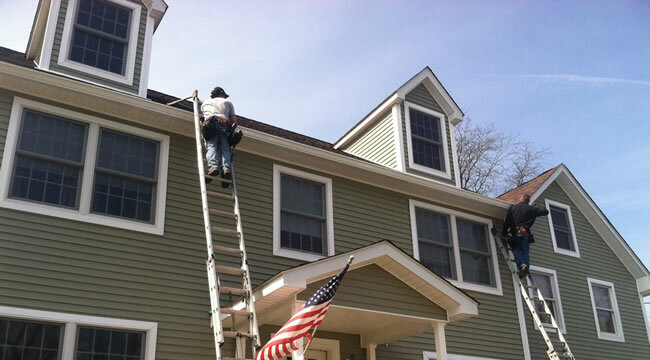 We make sure every item we use to complete the new gutters on your home is painted by the manufacturer with the actual baked on process to prevent peeling or fading. Why Choose L.I.K. 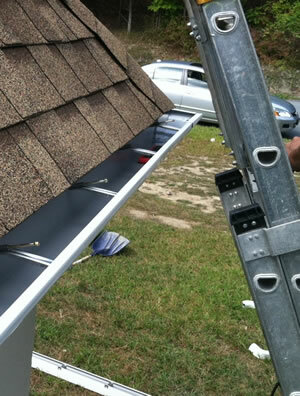 Seamless Gutter Co To Install Your Seamless Gutters? When you choose L.I.K. 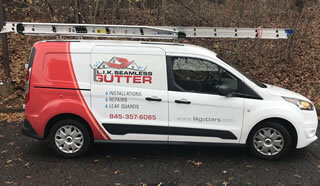 Seamless Gutter Co. to install new seamless gutters on your home you are partnering with a local family run business that has being successfully operating in the New York and New Jersey area for over 40 years. Now being run by the 2nd generation, the Vasilik brothers are true craftsman who put great thought and care into every single seamless gutter system we fabricate and install for our customers. If you’d like to request an estimate to have seamless gutters installed on your home please give us a call or fill out our contact form and someone will be getting right back to you.